Everyone wants to open the perfect christmas present, I know I do! I think the bow is the most important thing to a package. But if your like me your bow making skills aren't that great. I want to learn how to tie the perfect Christmas bow this year, so all my packages look awesome. But I also need it to be super easy. If it's too hard, then I just won't even try it. I like things simple. I found a great video that shows just that, super easy, so easy in fact even I was able to make one that looked perfect! *First you want to wrap your present with some pretty wrapping paper. *Then you will take your ribbon and wrap it around the package one time. *Then you will twist the ribbon and wrap around the package in the other direction. *Then cut and tuck under, pulling as you do to make it tight. *Set your package aside and take the ribbon and wrap it around your hand 6 times and cut at an angle. *Fold the ribbon in half. *When you have the center, hold it tight and cut at an angle towards the center on both sides, this will make it easier to pull out the loops later. *Now unfold and place it on your package in the center. 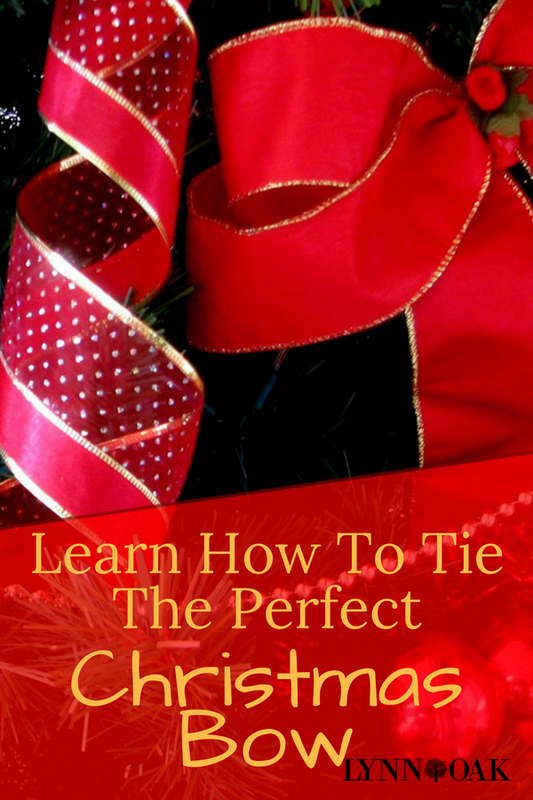 *Tie the bow on the package with your loose ends and tie a knot, tuck under the ends. *This is the fun part! Pull your loops apart, pulling each one towards the center. Now wasn’t that easy! This would be perfect for all gifts not just Christmas, I have a lot on my plate this year with graduation gifts and I also have a couple of weddings to attend this year too. I’m so doing that to all my gifts this year, I think it really makes a package look professionally wrapped! I'll be proud of my packages and not try and stuff them under the pile of gifts anymore to hide my terrible wrapping. If I can do it you can too! Go give it a try!